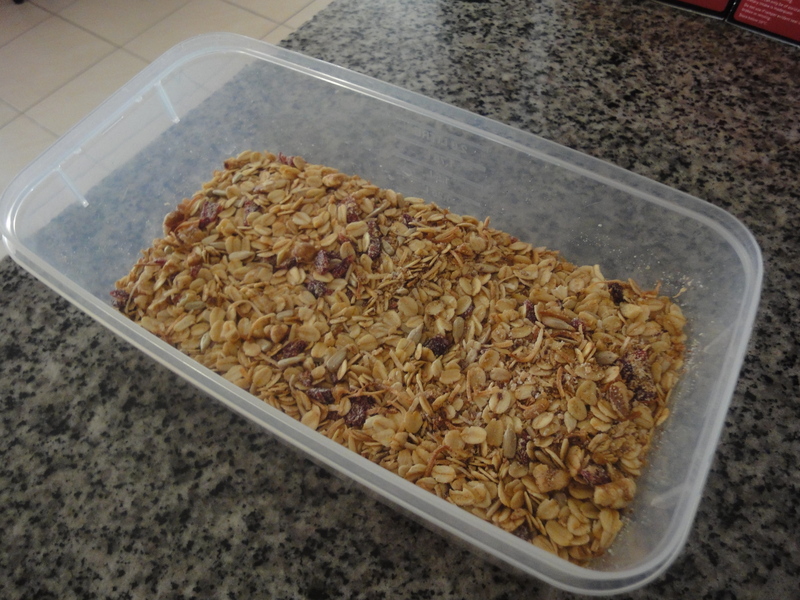 Try this recipe for home made granola without all the added sugars you would get if you bought it from the shops. Add all ingredients together, mix and place on baking tray under grill on low heat 150 degrees. Watch and keep turning so doesn’t burn. Once crisp, remove from oven and add chopped up cranberries.